Dr. Nicole Watson is a fourth generation San Francisco native that started her chiropractic journey as a chiropractic assistant in Belmont at the age of 16 years old. After seeing all of the amazing miracles of chiropractic she knew that she wanted to be a part of something much bigger than herself. Dr. Watson was certified as a massage therapist for over 10 years until starting Chiropractic College. She graduated from Life West Chiropractic College in 2005. She married her husband Steve Watson in 2003. In addition to her extensive knowledge of the human body, she possess a profound understanding of the mind body connection. Her compassion and expertise have led her to be a specialist in the care of children, elderly and those searching for a better quality of life. With over 27 years of experience in the Chiropractic profession, Dr. Watson looks forward to helping you reach all of your health care goals. Chiropractic has been a way of life for Dr. Nichols since he was a small child. When he was a young boy his father seriously injured his lower back and was told he needed surgery. He saw a chiropractor instead and returned to work one week later, without surgery. Two years after that his mother was having tremendous health problems. She was told she had bone spurs in her neck and needed surgery to “shave” them off. She also contacted a chiropractor, who said surgery was not only unnecessary but dangerous for her condition. 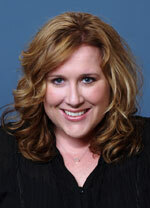 Her chiropractic care returned her to better-than-before health, without the operation or drugs. His parents became chiropractic loyal supporters and introduced David to the benefits of preventative chiropractic care. In college Dr. Dave made the decision to dedicate his life’s work to helping others through safe, gentle, effective, natural chiropractic care for the entire family. 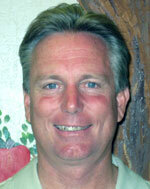 Dr. Nichols has provided Peninsula residents with Chiropractic and natural healthcare for over 31 years. Dr. Nichols has two grown sons Conrad and Beau. In his spare time Dr. Dave is an avid fitness fanatic. His passion is quantum physics and the powerful connection between mind and the body. Chiropractic treatment was the only thing that helped him after a lower back injury following a heavy squat lift in the gym years ago. Chiropractic care not only decreased his pain and restored his musculoskeletal function but allowed him an increase in strength and coordination as well. Once he had received his first chiropractic treatment and experienced the incredible results from the spinal adjustment he knew he wanted to help people in this manner and moved forward to complete his chiropractic education. As a chiropractic clinician he has brought pain reduction, motion and strength increases and general sense of health, to patients for over 17 years. Utilizing a combination of chiropractic systems, functional muscle testing and adjustive techniques his patients will enjoy expedient pain reduction and increased musculoskeletal function and strength. His patients have come to expect a doctor that is caring, not afraid to spend extra time to listen to them and is gentle in both manner and motion. Chiropractic care is helpful for all activities that involve movement and coordination enabling the body to fully communicate with itself, to perform optimally, and heal quickly. Chiropractic care is an incredible tool to assist the individual in keeping their body in tune so they can live, play and be the best they can be for many years to come. Dr. Mark Daly has been born and raised in San Mateo County where he currently resides with his wife (Jennifer) of 14 years and two daughters (Darien & Aislinn). Call our Belmont chiropractic office to get started with chiropractic care today!